Elizabeth Moon is back with the fourth adventure in her bestselling fantasy epic. 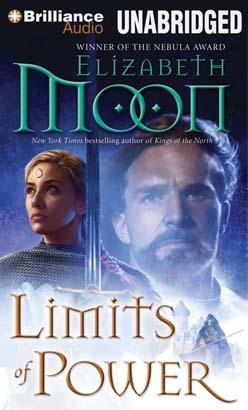 Moon brilliantly weaves a colorful tapestry of action, betrayal, love, and magic set in a richly imagined world that stands alongside those of such fantasy masters as George R. R. Martin and Robin Hobb. The unthinkable has occurred in the kingdom of Lyonya. The queen of the Elves — known as the Lady — is dead, murdered by former elves twisted by dark powers. Now the Lady’s half-elven grandson must heal the mistrust between elf and human before their enemies strike again. Yet as he struggles to make ready for an attack, an even greater threat looms across the Eight Kingdoms. Throughout the north, magic is reappearing after centuries of absence, emerging without warning in family after family — rich and poor alike. In some areas, the religious strictures against magery remain in place, and fanatical followers are stamping out magery by killing whoever displays the merest sign of it — even children. And as unrest spreads, one very determined traitor works to undo any effort at peace — no matter how many lives it costs. With the future hanging in the balance, it is only the dedication of a few resolute heroes who can turn the tides . . . if they can survive.